Brian Kelley was the third born of seven children (six boys and one girl) to an Irish Catholic family on the west side of Cincinnati, Ohio. His father, Tom, is the second generation of his family in the US, since his grandfather, Eugene, emigrated from County Cork in the mid-1880s. In fact, all four of his grandparents came from County Cork. Brian’s mother, Janis, is second generation Irish/German. Brian graduated from Archbishop Elder High School in Cincinnati before heading to Holy Cross College in Worcester, MA on a football scholarship, where he graduated in 1983 with a bachelor’s degree in economics. He was elected captain of the Holy Cross football team his senior year and was awarded the Judge John P. Cooney Memorial Award as scholar/athlete upon graduation. His business career has spanned 28 years, with experience at Procter & Gamble, GE, the Ford Motor Company (where he was the President of the $14 billion Lincoln Mercury business), and 5 years as the President and CEO of SIRVA (a $4 billion global relocation company which Brian took public in 2003). Brian is now in his 5th year at Coca-Cola, after joining the company in 2007 as President of its $6 billion non-carbonated beverages business in North America. Brian was selected in 2010 to lead the integration of the company’s $13 billion acquisition of Coca-Cola Enterprises and the formation of Coca-Cola Refreshments. He is currently the Chief Product Supply Officer for Coca-Cola Refreshments, where he leads the operations for the company here in North America and oversees nearly 35,000 Coca-Cola associates. 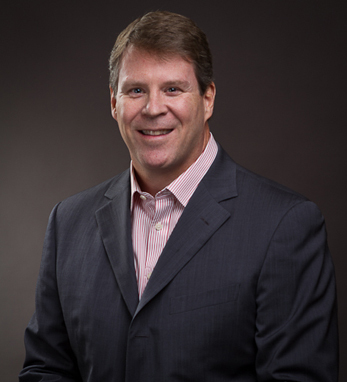 Brian has served on a number of boards, including Hertz, Mazda, SIRVA, VWR and the Internet Capital Group. He lives in Atlanta with his wife, Michelle, and their two daughters, Erin and Gwen. Erin is a 2011 Wake Forest University graduate who will be joining the McKinsey Consulting Group in August. Gwen will be a junior this fall at Loyola Marymount University in Los Angeles.